I wrote an article for SoundEffects - An Interdisciplinary Journal of Sound and Sound Experience in 2018. In it, I explore how several commissioned artists, musicians, writers, and filmmakers interpret the sound archives of the visionary musician and composer Sun Ra. The participants include writer and musician Terri Kapsalis, visual artist and musician Damon Locks, filmmakers Cauleen Smith and Rob Shaw, and musicians Todd Carter, Mike Reed, and myself. The abstract is below; you can download the article here. 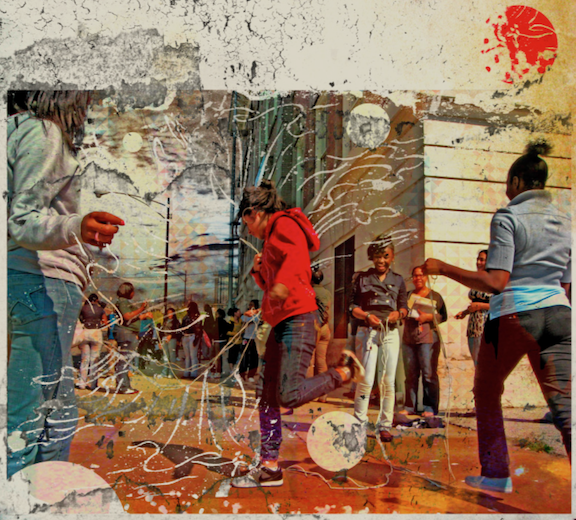 “Street Scene: A New Dimension” (2010), courtesy of Damon Locks. This article critically explores creative reinterpretations of a sonic archive. It focuses on the Sun Ra/El Saturn Collection, a catalog of the experimental jazz composer Sun Ra (born Herman Poole Blount, 1914-93). In 2010, the collection’s caretakers commissioned visual artists, writers, and musicians, including myself, to create new works based on the recordings. Each resulting work acts as an archival performance, understood here as any embodied re-imagining and re- contextualization of the archive. Together, the works suggest a process of listening to and remixing the archive “from below,” rather than a singular, top-down authority of archival interpretation and power. I examine these works through analysis and artist interviews, noting a tension between appropriation and re-contextualization on one hand, and archival stewardship and acknowledgement on the other. I observe how exchange, conflict, solidarity, and accountability are all potentially present within each archival performance. 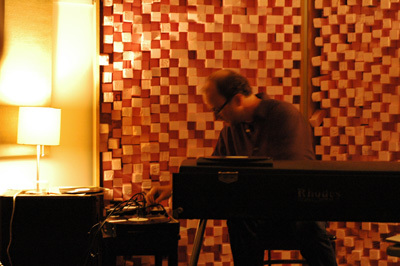 Harnetty performing at Experimental Sound Studio, Chicago (2010). 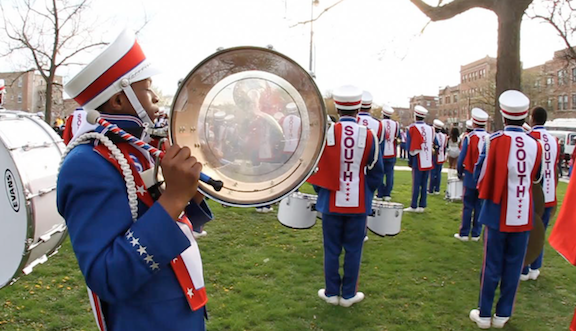 Solar Flare Arkestra Marching Band: Rich South Band at Garfield Green Line, Chicago (2013), courtesy of Cauleen Smith.